It can take years to gain enough experience to become an expert in vintage marbles, but having just a small interest in marble collecting and old marbles can get a decent collection started. Knowing the value of vintage collectible marbles often is a key component when buying marbles, because even though you may be building your marble collection just for fun, there is an investment aspect to it, too. While you may not be an expert in collectible marbles, there are several key things you can look for to help you determine the general value of vintage collectible marbles. Check the condition of the marble. Look for pits and internal fractures with a loupe or magnifying glass. A dull marble is not usually as valuable as the same marble that is still shiny. Condition is directly related to the value of vintage collectible marbles. Many marble sellers do not know that there is a difference in value and the asking price. Check the size. Look for large marbles and peewees, because these usually are more valuable and often in better condition than playing marbles of 9/16-inch size. Look for specific colors or styles. Find handmade marbles that contain swirls, or opaque marbles that are machine-made from a specific company. Akro Agate and Christensen are two companies that made machine marbles that can be identified by color or style. Find multi-colored marbles with clear distinctive lines. Look for marbles with four colors and clear divisions between the colors. Also check for marbles that are pleasing to the artistic eye. Vintage marble prices and value often relate to artistic merit. A collector is more likely to find value in machine-made marbles that are opaque, too. Many of the cat's eye marbles you'll find are recent imports that contain poor-quality glass with fine bubbles, and will not build a valuable collection. Look for older or vintage cat's eye marbles, like nine veins, which be worth collecting. Check for vintage collectible marbles with shapes inside them. Learn to look for shapes in marbles. Common shapes are the number nine and the turkey head. Corkscrews are a specific shape, as are handmade swirls, but marbles often have a heart shape or something that makes them more valuable than they would be without the shape. Look closely for hearts, ducks, or people shapes within the glass. Determine value by combining these steps. 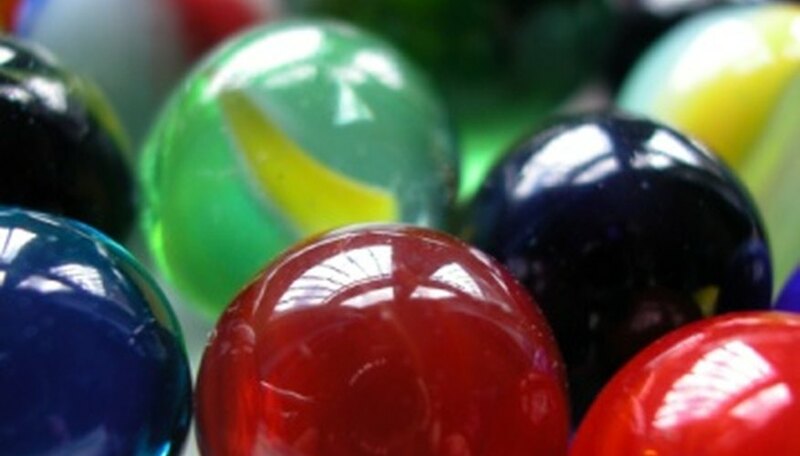 Check condition, size, color, multi-colors, artistic merit and shapes within the glass marbles to arrive at a value for vintage collectible marbles. The maker is helpful, but not essential, to determining value. Before making a purchase for a marble collection, consider each of these factors mentally or with a checklist. Once you are home, check the Internet or marble books to see comparable marbles and marble values of vintage collectible marbles. Do this a few times and you will be able to value marbles to see if the price is high or fair, or if you are getting a steal.